A fantasy romance comedy, The Princes Bride rides a wave of seductive cheekiness and delivers for both adults and their kids. Grandpa (Peter Falk) visits his sick grandson (Fred Savage) and reads to him The Princess Bride. 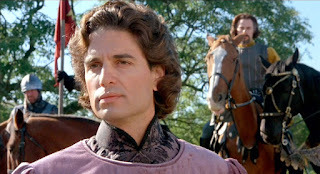 The story is set in medieval times, in a land ruled over by the evil Prince Humperdinck (Chris Sarandon) and his brutal head henchman Count Tyrone Rugen (Christopher Guest). Buttercup (Robin Wright) is a beautiful young woman who loves to ride her horse. She falls deeply in love with her farm boy Westley (Cary Elwes), but they are separated when he goes off to find his fortune. Word arrives that Westley has been captured and likely killed by the Dread Pirate Roberts. Humperdinck chooses Buttercup to be his bride, but his real intent is to start a war for personal gain. 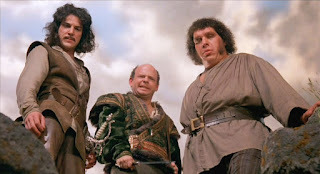 Humperdinck hires master criminal Vizzini (Wallace Shawn) and his gang, consisting of the giant Fezzik (Andre the Giant) and master swordsman Inigo Montoya (Mandy Patinkin), to kidnap Buttercup, kill her and blame the death on a neighbouring kingdom. A mysterious masked man in black gives chase, eventually disposing of Vizzini, rescuing Buttercup and escaping into the scary Fire Swamp. The masked man turns out to be Westley, coming back to reclaim his true love. But Humperdinck will not give up easily, and the lovers will need to overcome captivity and torture to seal their destiny. 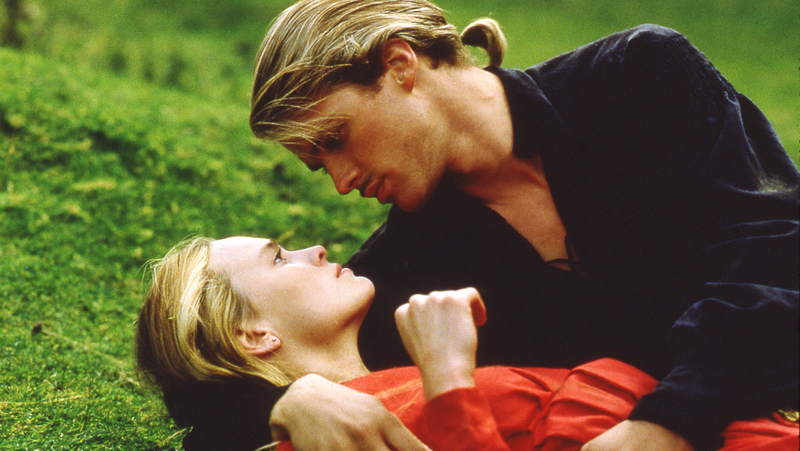 Directed by Rob Reiner and breezily written by William Goldman, The Princess Bride is part romance adventure, part swashbuckler, and all clever satire. The package could not be any more perfect, as the film delivers action, thrills, laughs and pure first love for younger audience members, while maintaining a glint-in-the-eye edge of evil wit for their parents. The overarching theme of true-love-will-conquer-all hovers over the film like an exquisite rainbow, and at the heart of the movie Robin Wright and Cary Elwes deliver honest performances full of heroism underpinned by the conviction that no matter what, they belong together. But The Princess Bride shines because of the diversity of interesting characters and sub-stories, and Goldman excels in creating a world of colourful scoundrels and side kicks. The charismatic Inigo Montoya carries a major revenge sub-plot of his own, and Mandy Patinkin has rarely been better as Inigo forces his way into a co-lead role with Buttercup and Westley. The transformation of Inigo and the giant Fezzik from bad guys to good allies is another strong anchor theme in the film, and the two also provide a steady stream of humour. And our heroes have not one, not two, but three villains to contend with. Humperdinck may be the head antagonist, and he emerges as a paper tiger, a man equal parts unearned power and distasteful cowardice. More potent is the darkly menacing Count Tyrone, a heartless torturer with a well-earned reputation for ruthlessness. Meanwhile, in a relatively brief but unforgettable role, Wallace Shawn creates in Vizzini an inconceivably irritating criminal, a short man ruling over his gang with smarts until he outsmarts himself in a cerebral confrontation with the masked man in black. Billy Crystal and Carol Kane show up in small and campy comic relief parts. Reiner respects the setting of his story and does not shy away from some mildly disturbing scenes of torture, and adds blood when necessary to emphasize the outcome of key sword battles. As a counterbalance and to relieve any mounting tension, a large part of the film's charm resides in the frequent returns to the grandson's bedroom, as he starts out full of skepticism but gradually warms up to all the thrills and yes, smoochy romance that the story being read by grandpa has to offer. For the young and old alike, The Princess Bride casts an immaculate magical spell.